If you’re in need of garage door installation services you can count on in Nashville, or any other nearby area in Tennessee, turn to the professionals at 31-W Insulation. Not only can we ensure the safe, secure installation of garage doors, but we also sell door products manufactured by one of the finest and most trusted names in the industry, Amarr®. These garage doors are available in a wide range of design options, so you will be sure to find the perfect door that will not only blend with your home’s architecture, but will also reflect your own personal sense of style. We will meet with you before your garage door purchase to help you choose a design that complements your home and offers the safety and security features you require. We will schedule a time for your installation, and our uniformed and highly trained technicians will arrive on time to install your new door, taking care to clean up after ourselves and haul away your old door. 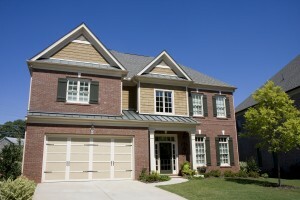 We will install your new garage door with care and precision to ensure years of quiet, smooth operation. Additionally, the garage doors we offer are backed by impressive manufacturer warranties, so you can be sure your investment will be well protected. For more information about the exceptional garage door installation services you can expect to receive when you turn to 31-W Insulation, contact us today. We are proud to serve homeowners in Nashville, TN, and all other communities close to the Music City.